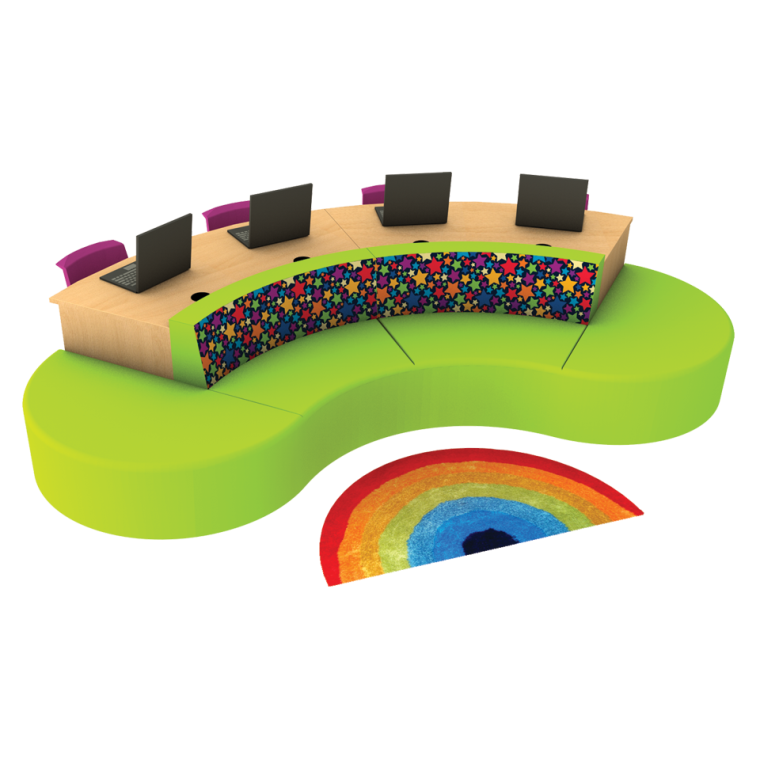 This curvy arrangement of seating and desks allows you to create a tiered teaching area. Children can be seated at the desks to the rear with PCs or notebooks, on the seat in front using tablets or laptops and also on the rug in front. The Revolve Pack 2 can also be used to create a versatile centrepiece in a larger room.